Don't be shy, sign up to receive exclusive updates! You can unsubscribe any time. Thank you for subscribing! You will now receive our neat newsletter! Download and Play A NEAR DAWN: PROLOGUE! We ran a robust KickStarter Campaign in November, during the course of which we met many wonderfully creative and like-minded individuals, and learned a tremendous amount from the experience. Unfortunately, funding for the campaign was not successful, finishing at 76% of our goal. We are nevertheless very proud of the content and quality of the project we have put together, and we will continue to develop A Near Dawn in the future. We will also be selling fun original prints and buttons, so you can grab those as well! A NEAR DAWN ~ Announcement Trailer! A Near Dawn is a multi faceted psychological adventure that aims to capture different sides to your world as you investigate the darkness that lies beneath its surface. There are mysteries to be solved and the things you do and say will affect how others look at you, even how you look at yourself. We are making great progress in putting together the Prologue to the first installment, which will be available for free download. And we hope to eventually bring this project to KickStarter to help fund the production. Wish us luck! 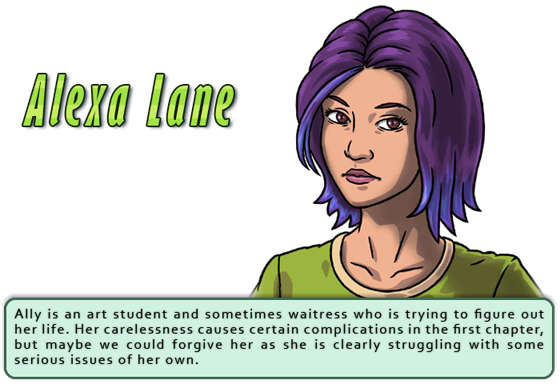 A Near Dawn is an adventure game inside a visual novel interface - it features puzzles, dynamic decisions, and multiple endings. You will be in control of your character�s actions at every turn. 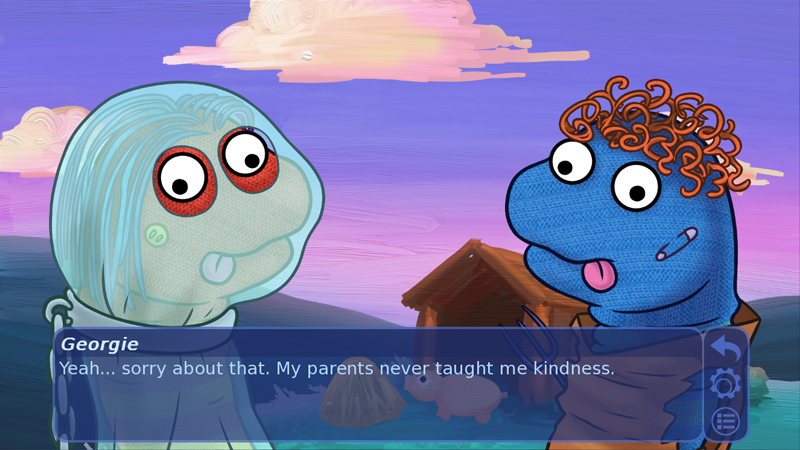 You will explore the environment and speak to other characters to learn about what needs to be done. 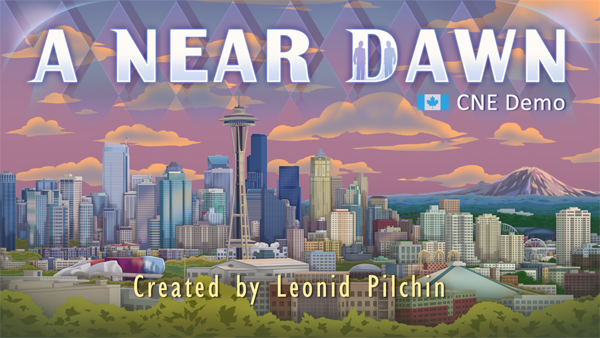 We're starting up production again on our larger, more epic project - A Near Dawn! It is a psychological thriller adventure with humorous highs and gut-wrenching crashes. A Near Dawn is planned as a series that starts grounded in our reality and takes a sharp turn towards the bizarre as elements of science fiction and supernatural emerge over the course of your journey. We are hoping for a demo release of the first chapter "Day in the Life" early 2017. 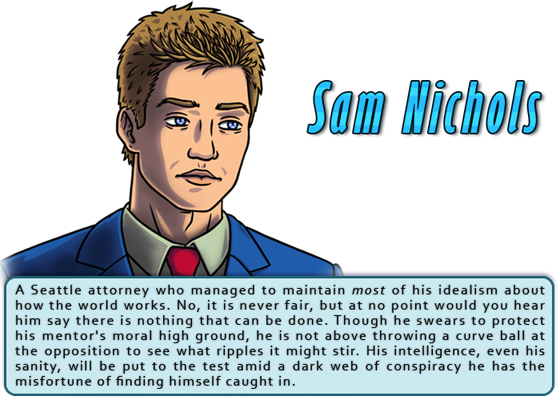 The story places you in the shoes of our main character - Seattle-based attorney Sam Nichols - who is experiencing disturbing psychological difficulties as he is exposed to progressively dire circumstances that threaten to unravel his reality and destroy those closest to him. Though haunted by personal demons, with your law firm struggling and on the brink of collapse, you take the helm on an important case involving a ruthless multinational corporation, defended by the vilest individuals you've ever encountered. The odds already seem stacked against you and as you learn things are not as they appear, a deeper conspiracy begins to emerge. Where will you end up if you keep untangling the threads? You will have to be brave to discover the truth. 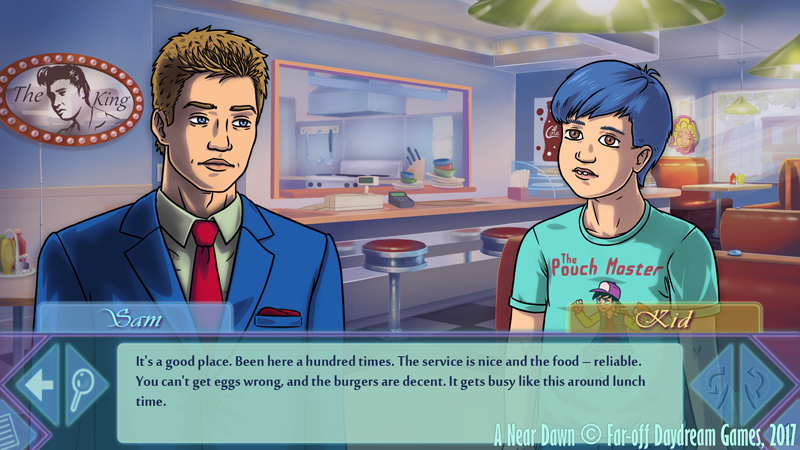 A Near Dawn is a visual novel adventure game with puzzles, dynamic decisions, and multiple endings. You will be in control of your character�s actions at every turn. You will explore the environment and speak to other characters to learn about what is happening and what needs to be done. We wanted to give you as much freedom and put as much detail into the content of the story as could be managed, as such you will have the option to skip key elements of the game not necessary for advancing the main plot if your character chooses to ignore them or fails to explore them. 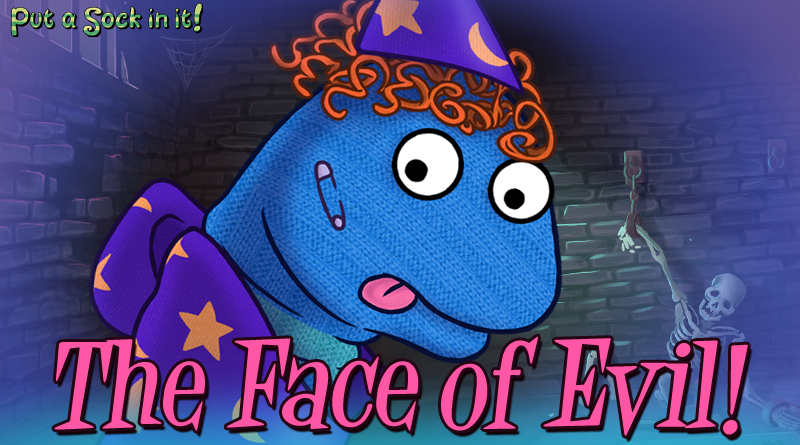 The Face of Evil: Releasing My First Indie Game! Put A Sock In It! was our first proper release, and it was quite a challenge managing the promotion for it. That really can be a full-time job all on its own, especially if you're not quite established in the industry. You really need to get the word out there about your project, because otherwise you could have created the greatest, most beautiful thing in the world, and it will still be your own little secret. Creating, designing, developing and publishing your game is surely the toughest part, but once you're done with that you're still a long way from finished. Next you have to sell the game, even if it's free like this one. GloomGames is a a pretty fun and popular YouTube let's play celebrity, and she did a spot on Put A Sock In It! in all its nonsensical glory, which at this moment has 176, 000 views! Frankly, it is amazing just to see her get into our game and have fun with it. This really helped the game get some notice for a little while, but more importantly it was very encouraging. The satisfaction really comes from having someone enjoy something that we created.